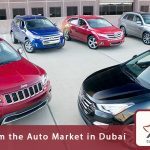 The Auto market in Dubai is accelerating at a fast pace, synchronizing with the needs of customers buying brand new and used cars, parallel to the Auto market in Sharjah, which meets the demands of customers of all types of cars, in addition to the car showrooms in Dubai and the car showrooms in Abu Dhabi form a large variety in the response The needs of all categories of society commensurate with their savings in the UAE and abroad through the car export to Saudi Arabia, Kuwait, Bahrain and most Arab, European and African countries. Dubai Motor Shows and Market is the first destination for all people around the world. Dubai car showrooms have been firmly established through an integrated center for the sale and purchase of brand new and used cars. The diversity of car prices has become a major component of all visitors from all over the world. 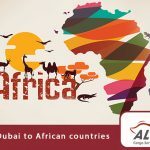 The world, based on the integration of services between car shipping companies in Dubai and the UAE, has made it an integrated and stable market frequented by visitors from the Gulf States, Africa and Europe. The auto market in Dubai is witnessing a wide variety of brands for international companies in the car market. There is no doubt that all visitors from around the world or residents stand in front of an integrated roof of brand new and used cars to suit all categories to meet all segments interested in car trading. Or owning a personal car. And stands firm to meet all the wishes of customers of visitors in the purchase or sale of new and used cars, and since the distances do not stand a barrier to the movement of buying and selling at the car showrooms in Sharjah. 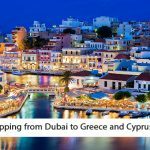 That’s based on shipping and customs clearance services of the shipping companies, which in turn, provide car shipping services from Sharjah and the UAE to Europe, Africa, and Gulf countries and the spare parts shipping with many facilities that provide time and effort to the customer. Therefore, the car market in Dubai and Sharjah leading to the destinations of traders and visitors wishing to export cars is enhanced by the availability of many types of cars in different brands and models new or used, as well as being one of the bestselling and trading sites used cars in the UAE through the accumulation of the car market requirements of customers from The purchase of used cars and a dynamic center of diversity in the acquisition and trade of cars and the switch between buying and selling.